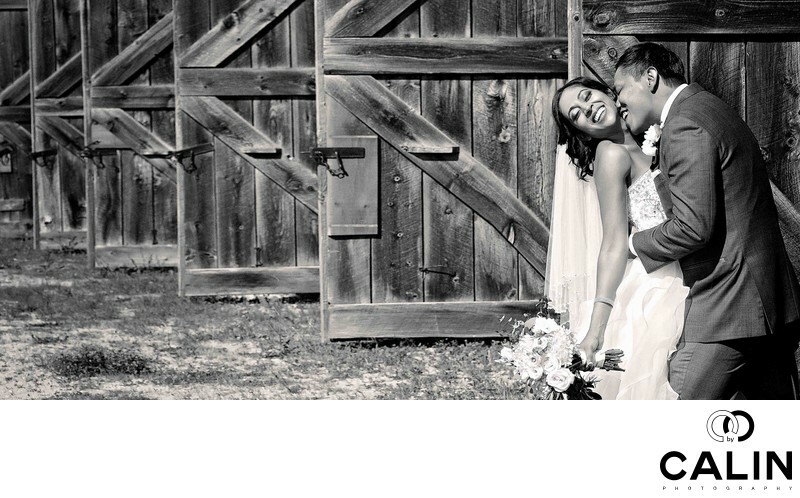 This gallery of wedding photos captured at Country Heritage Park will make you want to get married here. 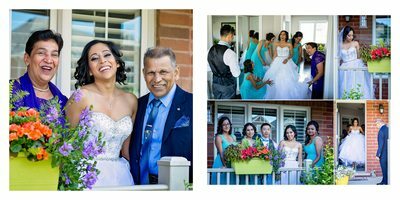 With picture perfect backdrops, historical buildings and natural scenery, it is no surprise that this is one of the most sought after wedding venues not only in Milton, but also in the Greater Toronto Area. If you have several hundred guests or you are tying the knot in a more intimate setting, this location is perfect for you. The Berlin Catering offers three options of plated dinner menus that cost between $174 per person (HST included) for a 3 course plated dinner and $201/person for a 4 course plated dinner (HST included). The above mentioned prices apply to parties of over 160 people. The 4 course menu includes in additional dish: Pasta. The menu offered by Catch Catering costs between $173 and $187 (HST included). The establishment is in high demand and if you decided on having your special event here, please check the park's calendar of events for availability. 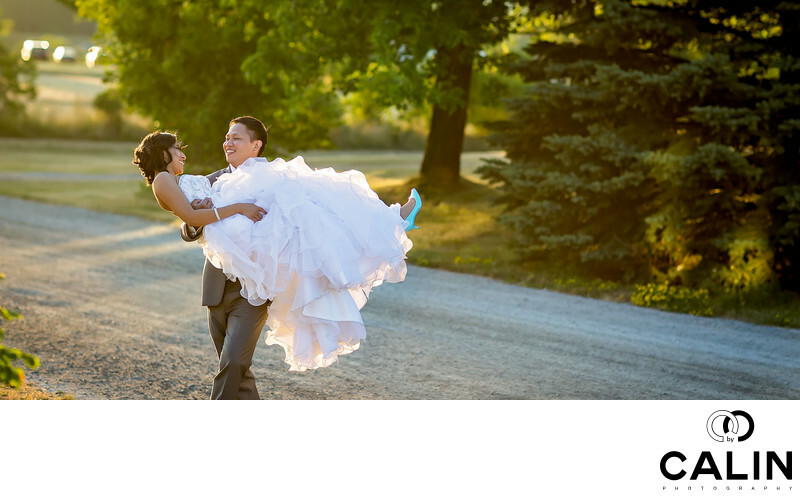 If you have your ceremony or reception at Country Heritage Park, you don't need a permit. For couples getting married somewhere else but who want to do a photo shoot on site, a photography permit is needed. Currently, the permit costs $75 per hour of shooting. Country Heritage Park offers wedding venues of various sizes. Conestoga Room and Puslinch Hall are perfect for intimate weddings or for rehearsal dinners. Conestoga Room can accommodate 60 guests and Puslinch Hall 50-60 guests. Carriage House, once a structure used to store carriages and sleighs, has been transformed in an interesting indoor/outdoor venue, appropriate for summer weddings. The Gambrel Barn is a massive structure erected in 1984 and is named after the type of roof of the building. Boasting 8184 sq ft, The Gambrel Barn can host large wedding receptions (up to 350 seated guests). 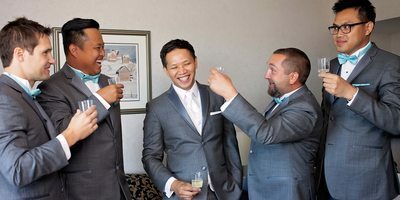 If you are planning a cocktail reception, the barn can accommodate up to 500 people. If the weather does not cooperate, The Gambrel Barn loft can be used to host your wedding ceremony. Its loft and patio are perfect for traditional tea ceremonies and cocktail hour receptions. The barn has on site washrooms and water, electricity, heating and air conditioning. Even though the barn has air conditioning, it is hot in the summer. The massive barn doors that can provide ventilation faces West and has to stay close until sunset to avoid overheating the barn. However, after the sunset, the staff opens the doors and a wave of fresh air enters the Gambrel Barn. The open doors give the dance floor an indoor/outdoor feel. With 80 acres of land, the park has plenty of spaces to install rental tents to host your wedding. All the above venues that host your reception can also be a perfect setting for your ceremony. In addition, there are a few spots that can be excellent locations where you can tie the knot. Cassin Family Farmstead and the adjacent meadow are the ideal outdoor locations for a rustic wedding ceremony. Please note that it can get hot in the summer and you want to have plenty of bottled water for your guests. This is a very small country church built in Perth County Ontario at the end of the 19th century. It has 925 sq. ft. and can host 60 seated guests. If the weather does not cooperate, this could also be your backup ceremony location. It is hard to talk about "best locations" when it comes to Country Heritage Park. Why? No matter where you turn, you find perfect backdrops for your wedding photos. If you plan to have your ceremony on the meadow adjacent to the Cassin family barn, then this is a perfect spot for family photos. As the sun sets behind the building, the barn provides not only a beautiful backdrop, but also shade, perfect for family portraits. If you are getting married in the local church, you might want to take your family photos in front of the the small white building. During the cocktail hour or if you are getting married inside the Gambrel Barn loft, we could take formal photos on the patio or inside the barn. With its large roofs, the Carriage Building creates an excellent setting for summer group photos, especially if your ceremony is on the meadow next to the Cassin Farmstead, a 20 second walk from the Carriage Building. Your guests can wait in the shade while we take the group photos. 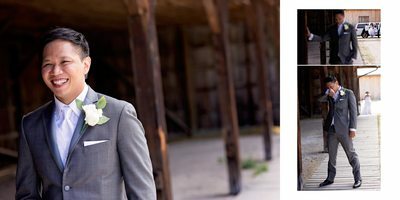 Located across from the Carriage Building, the tractor barn is a gorgeous spot to shoot portraits of the bride and groom. I love the repeating pattern of the Tractor Barn doors in the image above. They lead the viewers' eyes directly to the couple. If you are planning to have a first look I strongly recommend the Carriage Building or the Tractor Barn, depending on the season and time of the day you are getting married there. 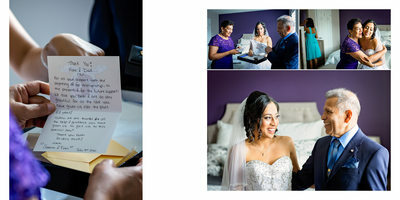 The images below were taken at the Carriage Building minutes after a very emotional first look. The building is an accurate reproduction of a real Ford dealership and even has an authentic gas station from the 1920s. 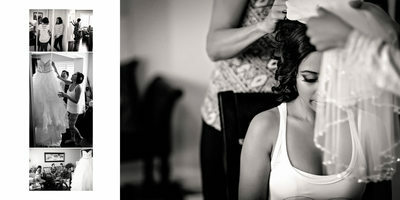 As such, the setting is perfect for romantic or funny bride and groom photos such as the one below. This small house from the 1830s makes a perfect spot for intimate bride and groom photos. 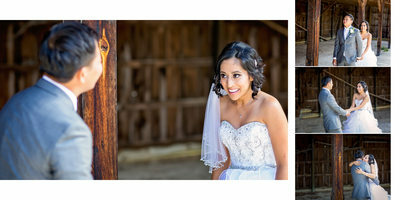 The rustic beams of the house offer an interesting textured background for the couple wedding photos. Also, take a break in the shade and sit on the wooden bench for a few romantic images. 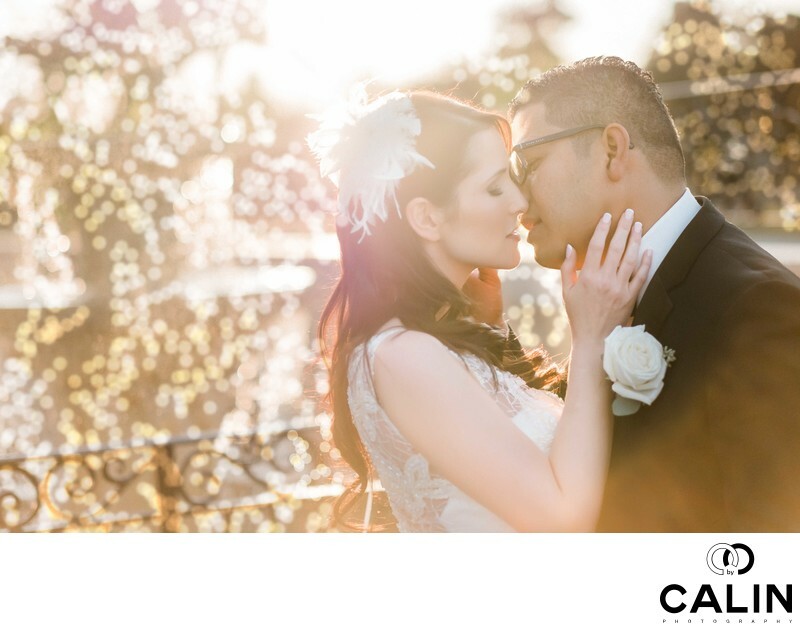 The front of Clark McCleary House is the perfect setting for more bridal portraits or fashion forward images such as those in the album spread below. Finally, for an extra fee ($200 last time I checked), you can have your bride preparation inside this house though I don't recommend it. The house interior is very dark and does not make a good spot for bridal portraits. 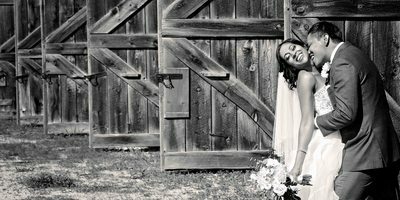 The barn walls create a beautiful backdrop for bride and groom portraits. At sunset, we can sneak out for five minutes to create some gorgeous romantic images such as the one below, captured a few feet from the barn. Also, once the staff opens the back doors of Gambrel Barn, we can take twilight portraits of you within one hour from the sunset. 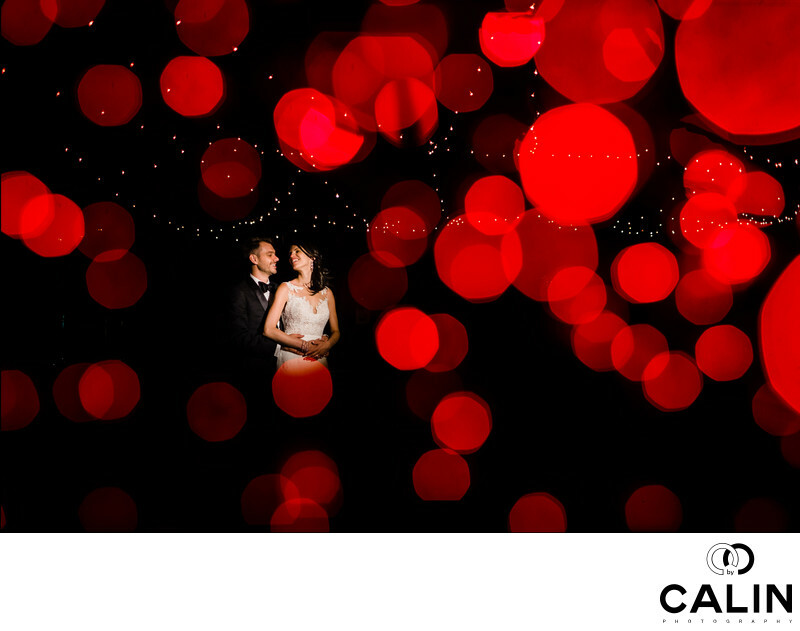 Here are a few examples of the images we can achieve at night. The Carriage Building is a perfect spot for bridal party and any relatively small group photos. 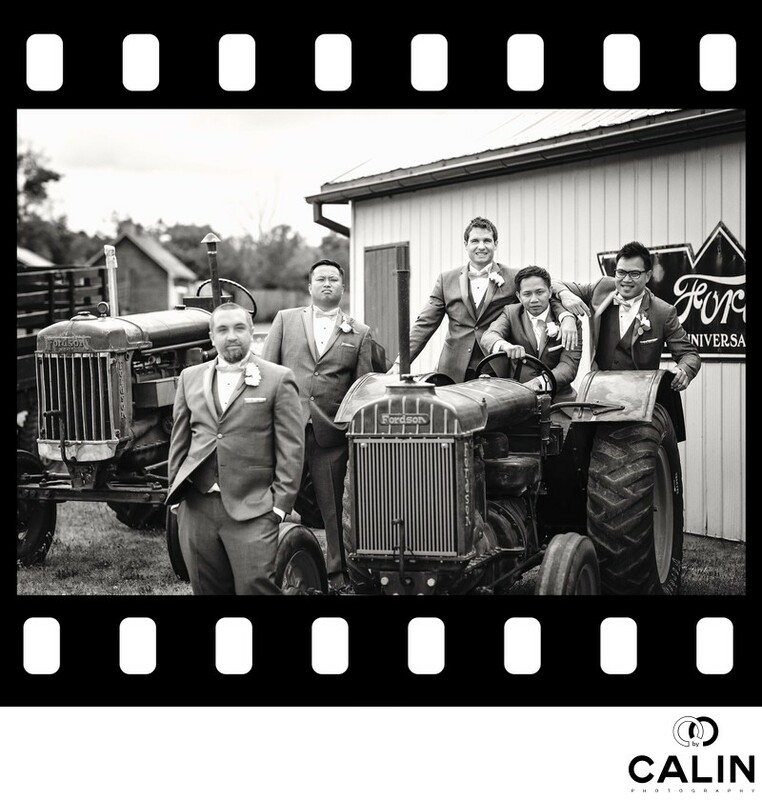 The Ford Dealership features several Ford tractors which are perfect props for bridal party photos with a retro feel. 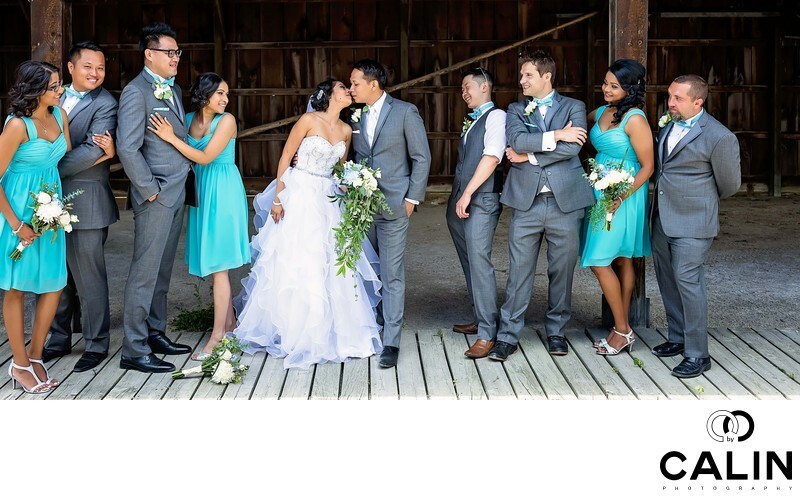 The Tractor Barn located across from the Carriage Building is the perfect spot for a bridal party that includes up to 8 people plus the bride and groom. We would place each couple by a barn door and create a pleasing repeating pattern culminating with you, the bride and groom. Here are the main reasons why brides planning an outdoor wedding ceremony love this event centre. The establishment can accommodate rustic weddings starting from 60 to 350 people if you have a cocktail reception inside Gambrel Barn. Gambrel Barn is a relatively new building can also accommodate your ceremony if the weather does not cooperate on your special day. The parking lot is close to the main wedding venue (The Gambrel Barn) and parking is free. This complex can host indoor or outdoor events. 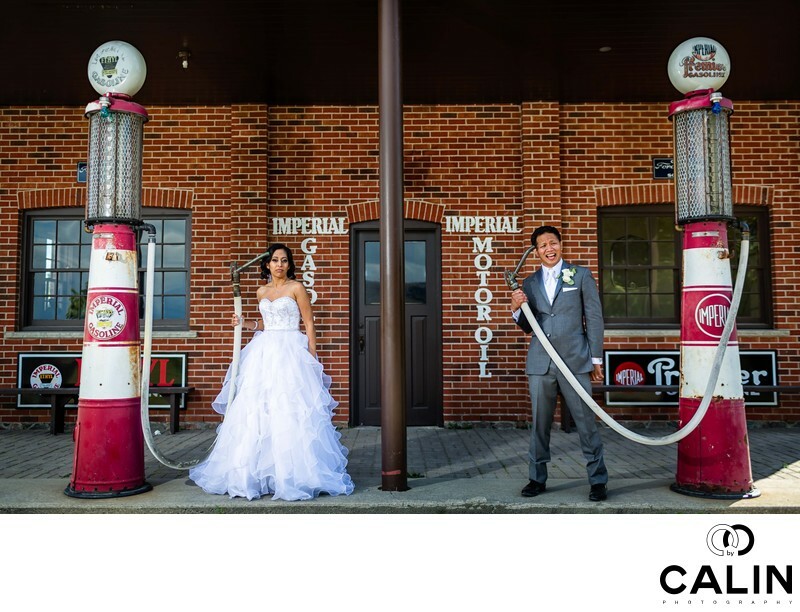 The former Imperial gas station is a perfect site for the bride and groom and bridal party photos. 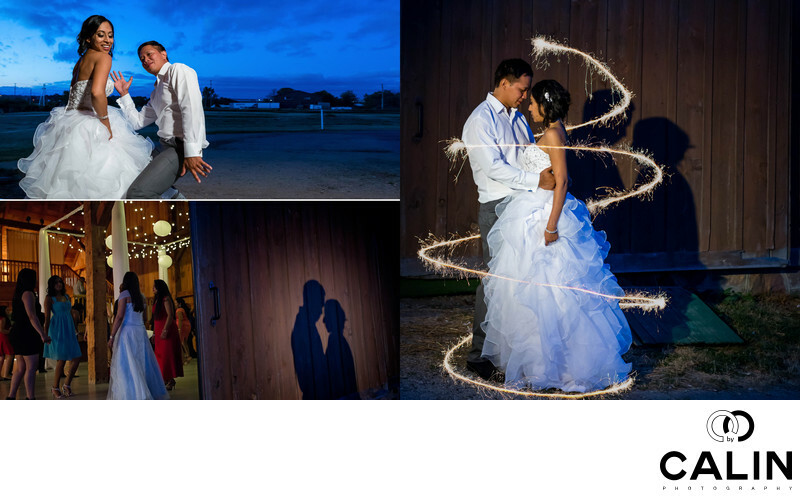 Many other buildings constitute the perfect backdrops for your photographs. Among them I can enumerate the John Deere, the Carriage House, Cassin Farmstead, Puslinch Hall and Conestoga Room. The site has a wedding chapel should you want to get married in a church. You can book a tractor and wagon service to transport up to 30 people. Please discuss with the establishment the fees associated with this service. The site is conveniently located close to Highway 401 and 407 and about 20 minute drive from the closest hotel. Due to an rising interest in rustic weddings, your special day has a high chance of being published in one of the Canadian bridal magazines such as Weddingbells, Champagne Sweets, Wedluxe if that is something you desire. For more information about the wedding packages, please contact the establishment directly through their website. In order to check availability, please visit the event calendar. Every hour or so take a break and enjoy your union. There is plenty of free public parking on the parking lot accessible through the visitor entrance at 8560 Tremaine Rd, Milton, L9T 1X9. On the south east of The Gambrel Barn, there is a smaller parking lot, just perfect for loading and unloading. Even though officially the parking is reserved to the employees, your wedding planner can allow a few vendors cars to park here. While guests are required to park their vehicles on the main parking lot, in the past, vendors were allowed to drive around the park. The management of the park changed recently and usually rules change. Please inquire if your limo and wedding photographer need a permit to drive their vehicles around the site. An open air museum, the 80 acre park is situated in Milton, just south of Highway 401, along the Niagara Escarpment. In the past it was named the Ontario Agricultural Museum and it is an excellent setting for events, fairs farmers expo and an attractive destination for shool trips. Transportation on site can be arranged for a $250 fee. The public parking lot is close to Gambrel barn and your guests can be transported by a tractor and covered wagon from the parking lot to the ceremony venue and reception venue. 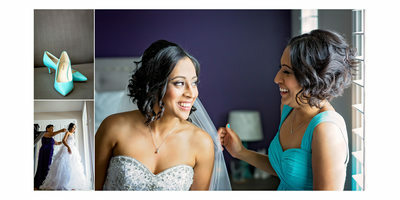 Sabrina and Fran started getting ready at their homes. 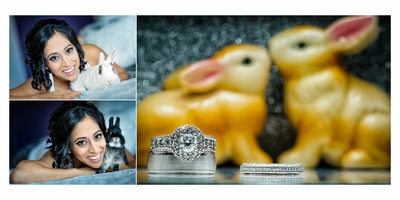 Because the couple is in love with bunnies and has two of them, they were invited to the bridal photo shoot. Around noon they headed towards the Carriage House for their first look. It was a very emotional moment as you can see in the photo gallery . 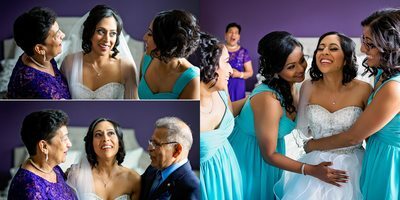 Shortly after that, the couple, accompanied by the bridal party and the photographers roamed around and took a variety of the candid photos. The weather forecast was calling for rain and fortunately, it only lasted a few minutes. Sabrina and Fran had the most emotional ceremony I have ever photographed. After the signing of the marriage license, the tension dissipated and everybody was ready for the party. 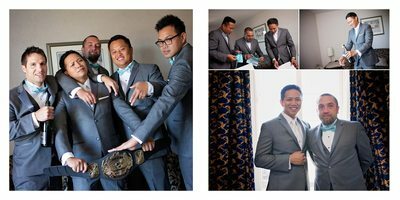 The special events continued with a traditional tea ceremony and short photo session followed by the wedding reception. 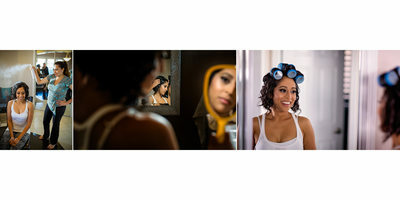 If you are a bride looking for a wedding photographer, please make sure you visit some of our more recent work: Chateau le Parc , One King West, Storys Building, King Edward Hotel, Thompson Hotel, Sassafraz Restaurant and Liberty Grand wedding.